With the aid of a Landscape Architect/Educator team from Dimensions Educational Research Foundation, a concept plan and materials list was developed for this beautiful outdoor space. This plan was developed taking into consideration the weather and conditions of central Massachusetts. Trustees and staff, especially preschool educational program staff, were involved in the design & consultation with the team. 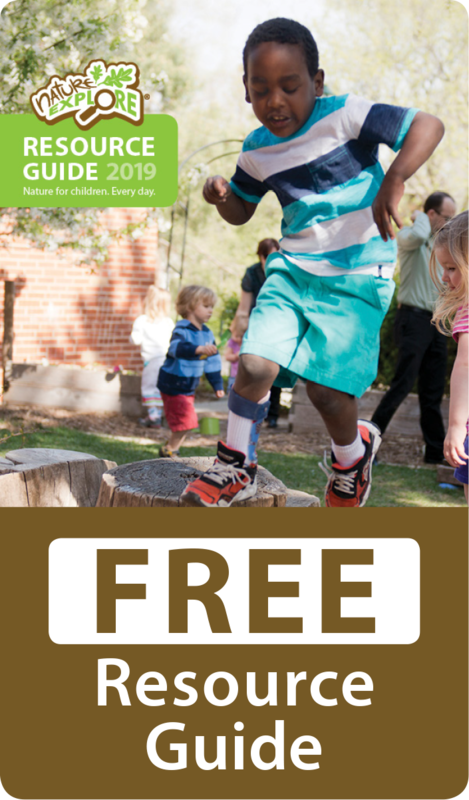 Many of the spaces were designed for programming; developed and delivered in partnership with local public schools, member families and preschool families. One requirement for the outdoor space was that it be available and used for all four seasons of the year, so materials were selected for durability and for low maintenance year round. 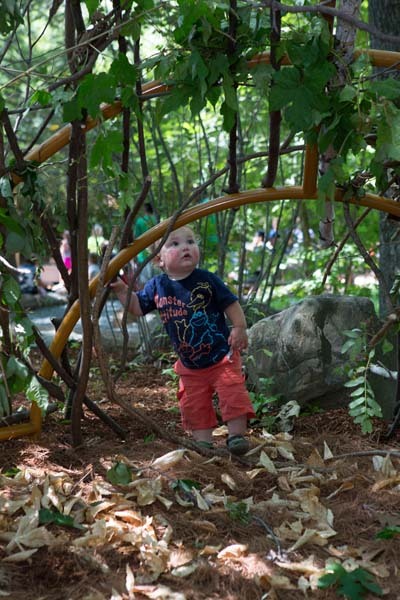 EcoTarium’s Nature Explore Exhibition makes use of existing trees, boulders, a meandering channel of water and shrubbery. Construction materials include a variety of surfaces, locally sourced. The main path into the Nature Explore Exhibit is made of locally sourced, clay, donor bricks. Installation and construction by a local and reputable Landscape Contractor ensured that materials were installed at proper depth and durable with local weather conditions. Care was also taken to avoid disturbing tree roots to help prevent erosion. The classroom was developed with a deep respect for existing trees, shrubs, boulders, rocks, water and ground contour. While separate areas are delineated by different materials underfoot, a cohesive visual theme was maintained throughout with judicious use of powder-coated metal arches for pops of color. While the site has been under construction, programs with preschool families and campers have been tested. Additionally, before construction began, Nature Explore indoor and outdoor Outposts were created to give visitors a preview of the space. EcoTarium’s website features a Nature Explore Exhibit “coming soon” page, and most recently offered the option to purchase brick pavers from the website and in the gift shop. On-going communications with members, educational partners and the public include rack cards on site and in local libraries and other locations, monthly e-newsletters, Facebook, Instagram and Pinterest posts, other social media, and e-blasts. Weekly Wednesday preschool programs will be conducted in the Nature Explore Exhibit.